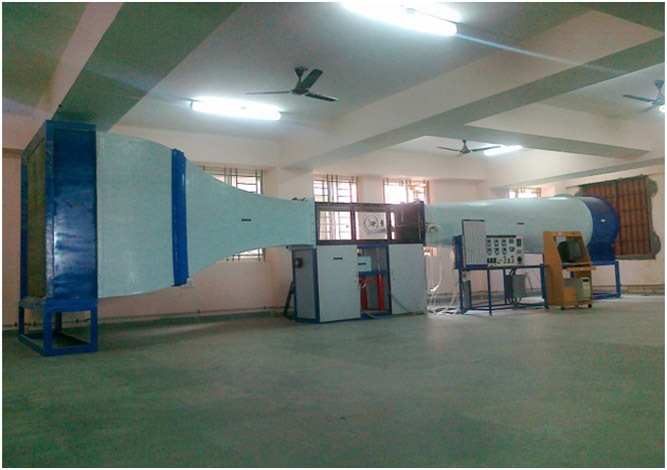 We are one of the leading manufacturers, exporters and suppliers of the superior quality range of Aerodynamics lab Equipment. This entire range is manufactured using high grade raw materials using hi-tech machinery in compliance with the set quality standards. Our customers can avail this entire range at genuine prices. 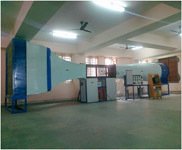 Having capabilities to Measurement of Lift force, drag force and side force using wind tunnel balance. Study of Pressure Distribution over symmetrical aerofoil, Unsymmetrical aerofoil. Study of Pressure Distribution over cylinder. Flow visualization studies over automobile model. Flow visualization studies over aerofoil with different angles of incidence. Flow visualization studies over a flat plate at different angles of incidence. Reynolds Number in Tunnels cross section. 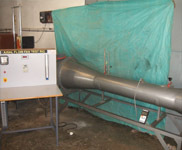 Consisting of tunnel, 300mm x 30mm test section size, suitable velocity, drive, effuser and diffuser, models of various type, smoke generator, 3 component balance and single traversing pitot tube. Mounted on sturdy frame made of M.S. Angle and Channel. Control panel mounting with multi bank manometer, digital velocity indicator, digital force indicators and fabricated using wooden Novopan sheets and MS square tube. Flow visualization studies over a flat plate at different angles of incidence. Reynolds Number in Tunnels cross section. 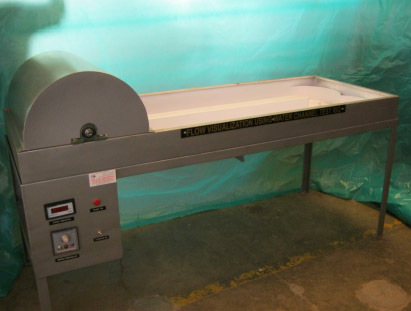 Consisting of tunnel, 600mm x 600mm x 2000mm test section size, suitable velocity, drive, effuser and diffuser, models of various type, smoke generator, 3 component balance. Mounted on sturdy frame made of M.S. Angle and Channel. Control panel mounting with multi bank manometer, digital velocity indicator, digital force indicators and fabricated using wooden sheets and MS square tube. 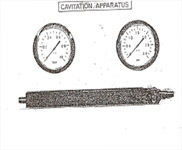 Having capabilities to observation of the phenomenon of cavitation. Comparison of theoretical and actual pressures at cavitation conditions. The complete assembly is mounted on a backboard arranged for wall mounting and requires the services of the laboratory water supply and drainage system. Consisting of a rectangular venturi section with a window allowing full visualization. 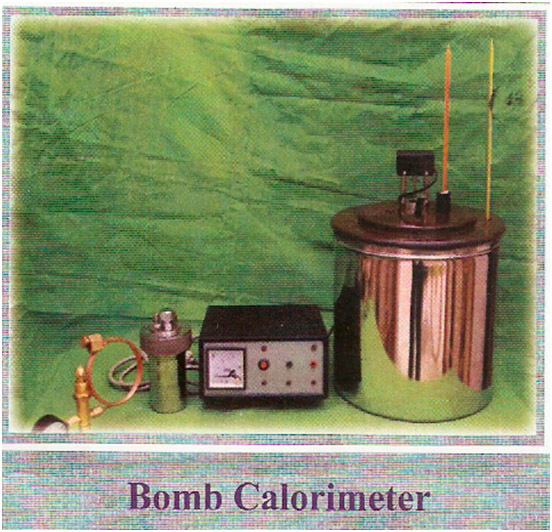 Pressure measurement, time/temperature measurement. 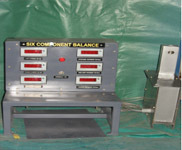 The six component balance has the force and moment of six wheatstone bridge circuits consisting of strain gauges in all four arms (in each bridge) provide outputs proportioned to applied forces and moments. The gauges are excited and the outputs are calibrated for known applied forces and moments, independently. 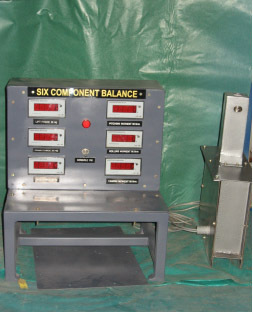 The display of the panel meter has been adjusted during calibration (Upto full scale) to provide direct measurement of Normal Force (in Kgf), Side Force (in Kgf), Pitching moment (in Kgm), Rolling moment (in Kgm) and Yawing Moment (in Kgm). Provision has been made to display forces and moments also in Newtons and Newton meters. Consisting of motor, tank, wooden models. 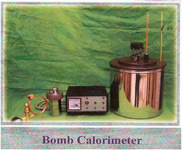 Determination of heat of combustion of Bomb calorimeter in 2 types i.e., Solid / Liquid. 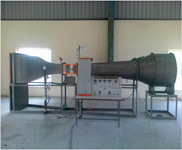 Consisting of water jacket, motorized stirrer, briquette press firing unit, pressure gauge with copper pipe fittings. To find overall efficiency at different speeds of axial flow fan and plot graphs for discharge Vs. efficiency, power. Consisting of fan, motor, casing, power measurement, speed measurement, air flow measurement and the instrumentation mounted on a separate control panel. © 2015 INDLAB Equipments. All Rights Reserved.